Pop. 34. In Dist. 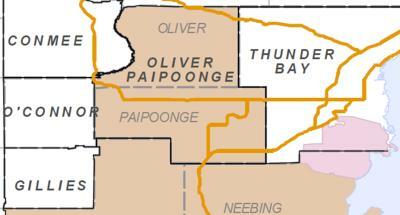 of Thunder Bay at the E end of Shebandowan L. and Hwy 11 & 17, 66 km NW of Thunder Bay.